I totes hit the mother load with this Influenster Vox Box. 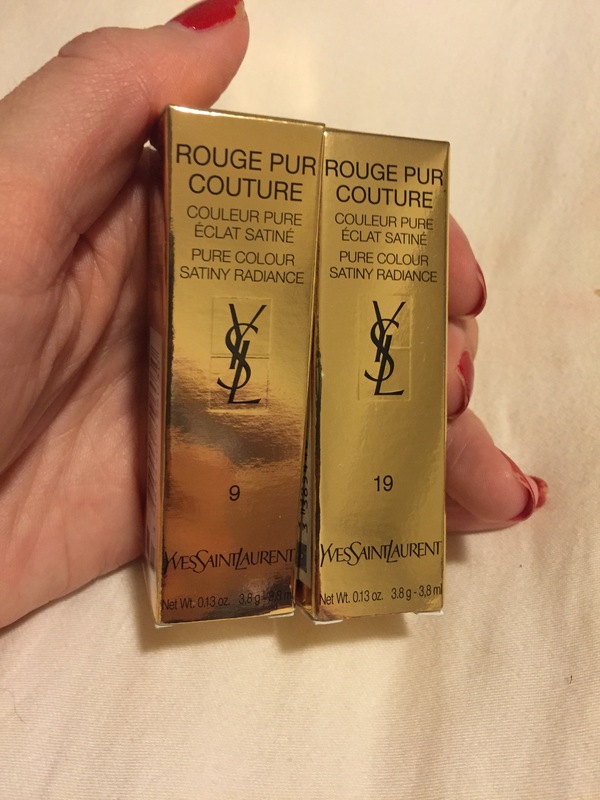 When I heard I was receiving TWO YSL lipsticks for FREE I am not kidding, I squealed. Like a little piggy. Did you know that ANYONE can join influenster? You just link up all of your social media accounts, they send you surveys and then mail you products if you qualify. It is amaaaazing and I feel stupes that haven’t done it forever. 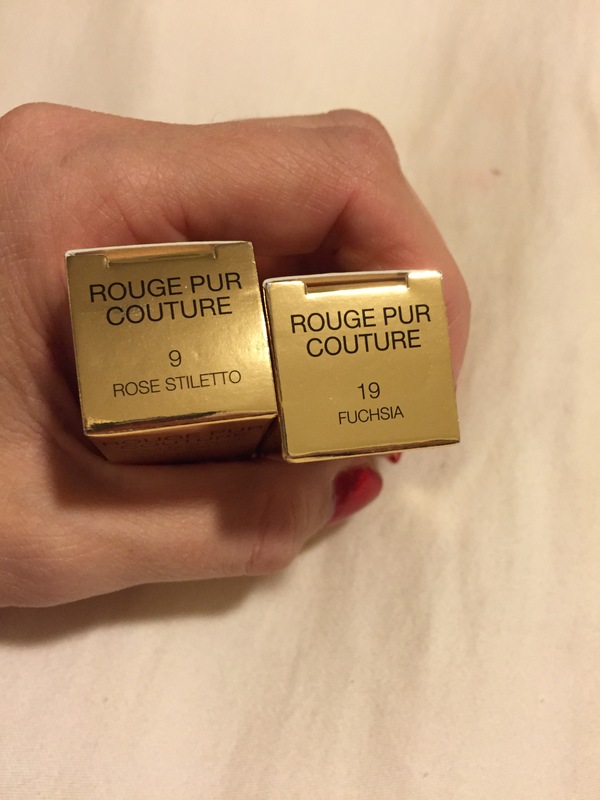 I was among 2,000 people to receive two YSL Rouge Pur Couture Lip Colors in two shades. The first color is #9 Rose Stiletto. I am SUPER impressed with the overall quality of these lipsticks. Both shades are very pigmented, creamy and comfortable to wear. They last well for being a lipstick, (about a 2-hour wear) and the packaging is totes bougie. 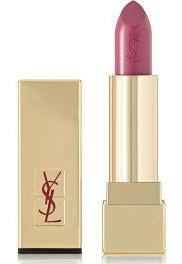 While they come at a hefty price tag of $36, I feel like this is what you’d expect from YSL. If you are committing to a $36 lipstick, you probably a.) don’t care because you’re kinda rich b.) 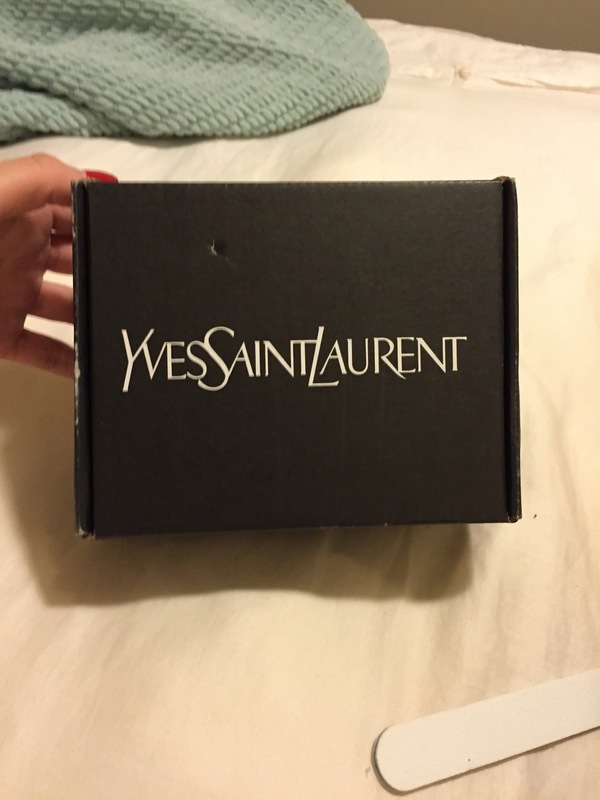 are splurging and treating yourself to a luxury item or c.) are so obsessed with the packaging and YSL brand that you simply don’t care about the price. I fall more into category B. 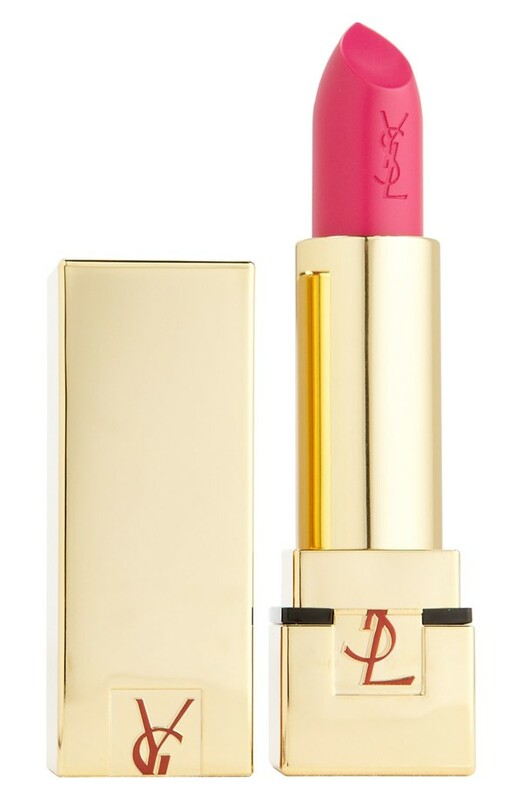 For special occasions (weddings, giving birth, haha) I would totally spend 36 bones on a beautiful lipstick, but this would be a CALCULATED, premeditated purchase. I wish I was the kindof lady who could waltz into Sephora and casually toss lipsticks in my basket that cost more than an outfit at Forever 21. But sadly, I am not. I’m the $1.99 Wet’n’Wild lipstick connoisseur who thinks twice about adding guac at Chipotle and buys greeting cards at the Dollar Store. That’s just me. 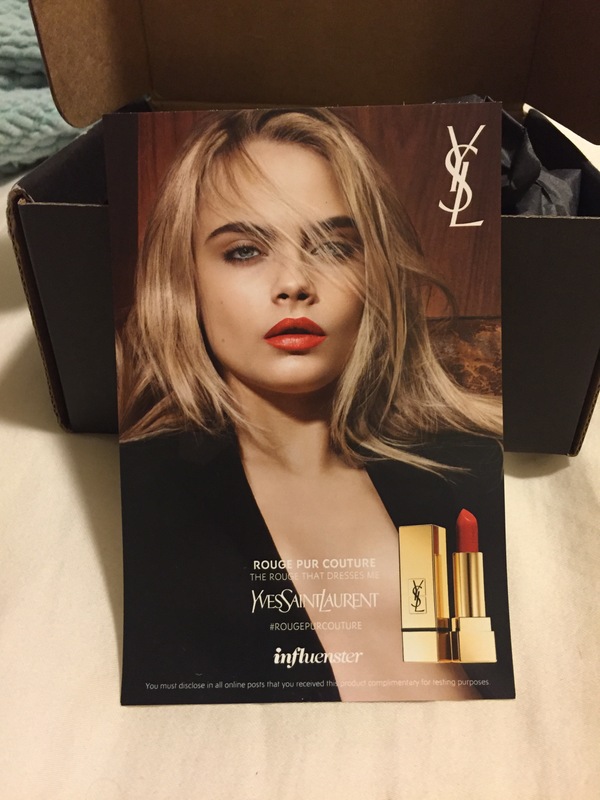 Thanks YSL! Thanks Influenster! Thank you, baby Jesus.